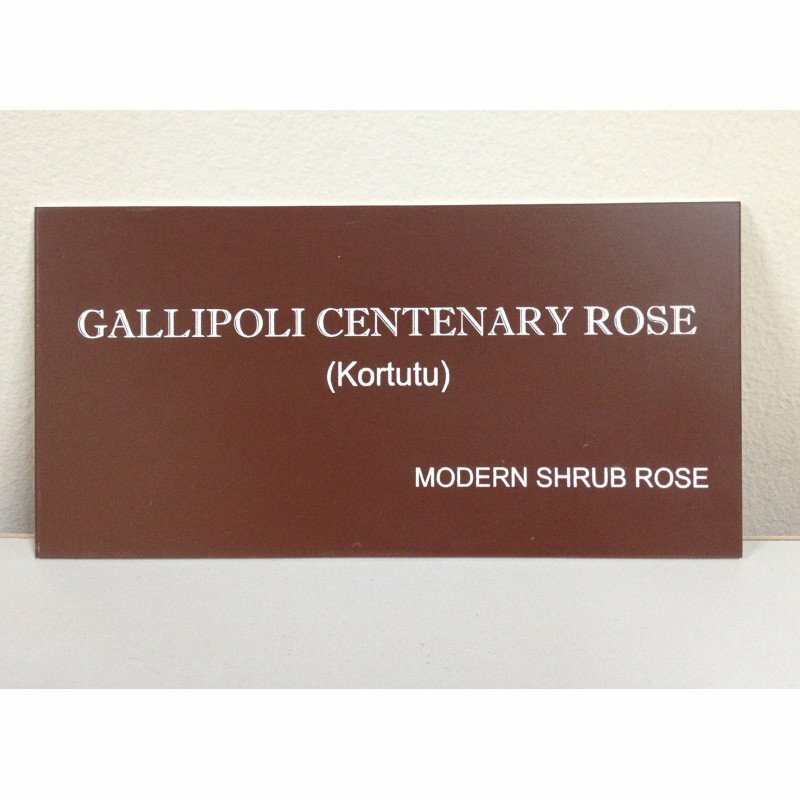 A special Gallipoli Centenary Rose deserves a special name plate such as this. Perfect to go in your own garden or to make that rose gift even more special. Engraved with 3 lines of white text. Extra text can be added on request, however this process can take up to 4-6 weeks from the date of order. Please email us to enquire. The plates can be sent with your rose order or separately for a an additional charge of $12.00. (Kortutu) - This stunning rose was carefully selected to commemorate one of the most significant mom..